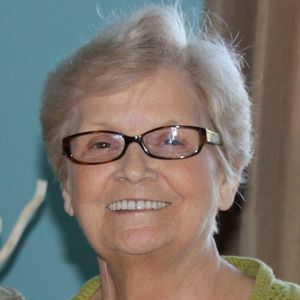 CENTRAL CITY – Wilma Sue Moore, 74, of Central City, died Sunday, January 15, 2017, at Williamson County Hospital in Franklin,TN. Mrs. Moore was born February 19, 1942, in Whiting, Indiana. She was a member of Nelson Creek Missionary Baptist Church, where she previously served as Sunday school teacher and other roles. She was preceded in death by her husband, John W. Moore, who was also of Central City. Survivors include her son, Jon Moore of Thompson Station, TN; daughter Stacey (Dale) Fields of Lebanon, OH; grandchildren Brian (Danielle) Fields, Brittany (Justin) Nordmeyer, Kensi Moore, and Jace Moore; great-grandchildren Noah Nordmeyer and Landyn Fields; sisters Jannit (Roy) Cantu of Lansing, IL, and Barbara Calvert of Beaver Dam; and brother Jack Fulkerson of Hollywood, CA. Funeral services will be Saturday, January 21, 2017, at 11:00AM at Tucker Funeral Home in Central City, with Rev. Donnie Wilkins officiating. Burial in Nelson Creek Cemetery. Visitation will be Friday after 5:00PM at the funeral home. Online condolences may be made at www.tuckerfuneralhomes.com. The beautiful and interactive Eternal Tribute tells Wilma's life story the way it deserves to be told in words, pictures and video. She was my friend; I attended their wedding; J.W. was my brother's friend, but Sue and I shared many times together... she was my Sunday School teacher; my co-worker at the monument shop and my go-to with anything and everything when I needed someone to share my joys or sorrows... she was REAL. I will miss her!! So sorry for your loss, your family is in our prayers. I attended high school with your mother from 1956 to 1960. We graduated in the same class. She was a special person. I am so sorry that you are having to go through this grief and very difficult time. Sue was a true light in your lives and she loved you all so very much. She (and JW) became part of our family in 1985 too. We loved her and will miss her, but I am thankful that I was able to know her for all these years and consider her my family too. I love you all and if you need anything, I am here. God bless you and I am praying for you. You will never be forgotten. You will always have a special place in my heart. I love you and will miss you so so much. I have shared many good times with Sue. I am saddened to learn of her passing. She was always hold a special place in my heart. Condolences to all that loved Sue.